Qatar Start implementing his new labor law from dec 13 in the new labour law almost every thing is new for expatriate worker. The new laws abolished the old system of employment and hiring called kafala system and replaces with modernized contract based system. Contract based system given more freedom to employee in which he can choose when he want to resign and leave the country after notifying sponsor. New labor law makes lot of thing easier for Expatriate worker in Qatar. 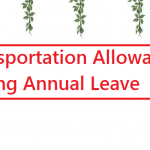 One another thing is added in the provisions of this law which about those employer who take passports from employer and didn’t give them back until their final exit hence in other terms these employers harass the employee to do the hard work for whole day more the limit of an employee. 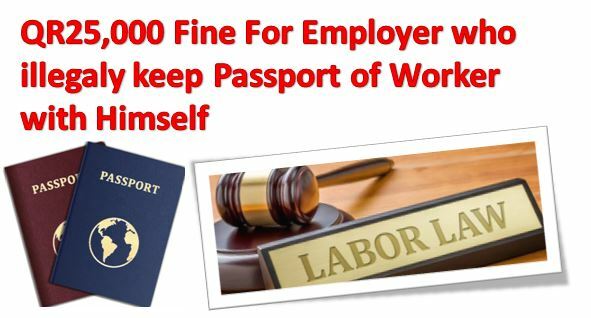 New Qatar labor law clearly mentioned that those employers who confiscated workers passports illegally in order to harass the employee that these employer if get caught have to pay fine of QR 25,000 per passport. According to QNA it is a most tightest financial penalty in whole gulf. Qatar ensures that the law is implementation must be done so that to safeguard the write of expatriate workers living in Qatar. Employers found to have confiscated workers’ passports can be fined up to QR25,000 per passport. When enacted, this will be the toughest financial penalty against passport confiscation in the region, QNA reported. Qatar made many new changes in his new law the best of which Qatar Abolished Kafala system. Under this new law expatriate worker now easily transfer, change and leave country in accordance to terms written on job contract. Also it is mandatory now for every employer to make contract as the contract is requirement for making of Work permit for his employee. How to Get Online Degree in Saudi Arabia?